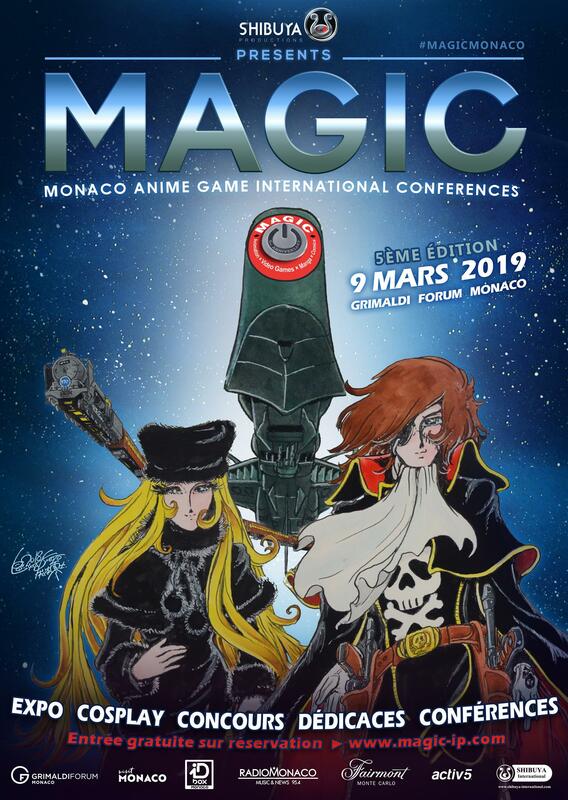 Monaco Anime Game International Conferences (MAGIC) is an annual open event organised by Shibuya Productions in Monte Carlo’s Grimaldi Forum. 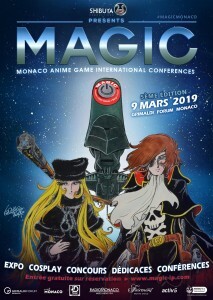 The last convention was on 9th March 2019! See you next year! The one-day event is dedicated to several worlds – manga, comics, animation, video games and pop culture. MAGIC is the perferct occasion to attend an exceptional cosplay contest, in the presence of some of the greatest performers – the Magic International Cosplay Masters. See you on 9th March 2019 ! Discover the film of our previous edition below ! MAGIC takes place in a prestigious venue – the Grimaldi Forum at the heart of the Principality of Monaco. Conferences and shows will be held at the Auditorium Camille Balnc with 500 available places. The selected five finalists of the video game contest will present their games at open rooms, with an approximate seating capacity of 200. The Grimaldi Forum is above all a unique place. This smart, bright, high-tech conference centre is capable of embodying the events it is hosting, taking them to the next level. Located on the shores of the Mediterranean sea, easily accessible from all major European capitals via Nice Côte d’Azur airport only 22km away, Grimaldi Forum offers a 35,000 sq.m. area for a more immersive experience. Grimaldi Forum’s renowned reputation for hosting international events made it a key destination for international business tourism. Having a massive 10,000 Sq m of exposition surface area, 3 auditoriums, 22 meeting rooms, 2 restaurant areas, the Grimaldi Forum Monaco is the stage of all types of business events. Seminars, assemblies, conventions, exhibitions, product launches or gala dinners and big shows could all take place simultaneously in customized areas at this enormous building. A stay in the Principality of Monaco is always very enjoyable – the historical legacy, beautiful weather, amazing architecture, lifestyle … It’s the place where the mediterranean culture intertwines with the international globalised culture. In the very heart of Europe, Monaco offers a total escape, a dream-destination to enjoy the early spring sun. During this special day, MAGIC brings together the greatest names from the video game industry, animation and manga.